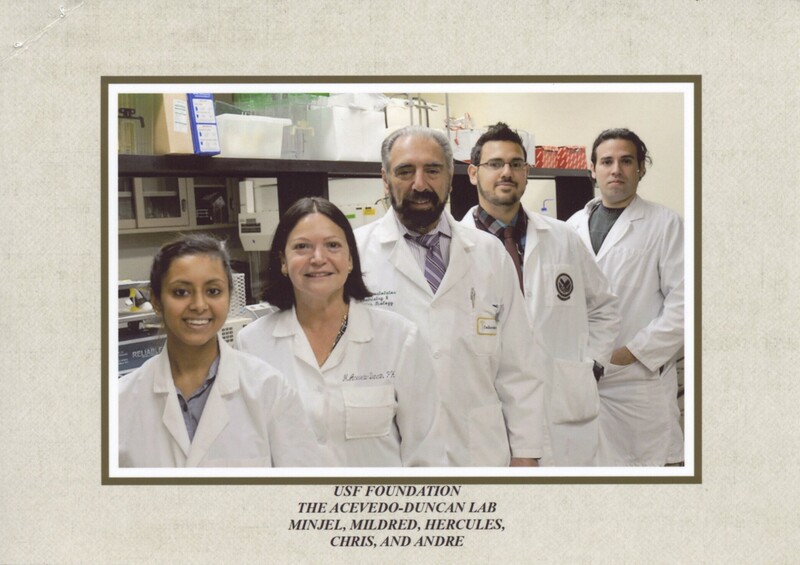 At our January 31st, 2017, board meeting, the board approved a grant of $15,000 in support of the cancer research lab at the University of South Florida led by Mildred Acevedo-Duncan, Ph.D. We made a similar grant in fiscal year 2015–2016. I mention these grants because in part they started us thinking about making scholarship grants at the department level as opposed to the traditional way: directly to offices of financial support. Our grants are being used to pay stipends to lab personnel in their roles as RAs or research assistants. Similarly, the Minka Scholarship Program is set up to provide support to graduate students, many of whom act as RAs and TAs (teaching assistants). 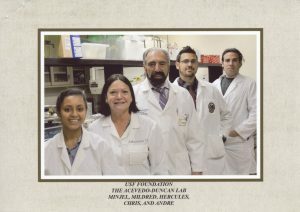 In an email, Dr. Acevedo-Duncan told me that professors are now expected to raise funds to pay for stipends for graduate students performing lab duties. Gone are the days when universities and colleges provided funds to pay for RAs and TAs. For more information on programs at the University of South Florida, click on the link you just passed.